Ieri sera, 14 novembre 2005, tanti presenti all’inaugurazione del Centro risorse e documentazione Giulio Camillo, il teatro dell’intelligenza. Abbiamo visitato le stanze e commentato le funzioni dei luoghi che accoglieranno la documentazione, le fonti e gli strumenti utilizzati nel progetto Mille modi per un mondo:3d per costruire conoscenza. Per chi non avesse avuto la possibilità di partecipare inserisco qui il report della chat e alcune schermate. The Memory Theatre of Giulio Camillo. Giulio Camillo was one of the most famous men of the 16th century. With a commission of 1200 ducats from the King of France, Francois I, he created a theatre that contained divine powers: whoever entered the theatre would emerge with a complete memory of all the knowledge that had ever existed. According to Erasmus “the architecture is of wood, marked with many images and full of little boxes… he calls this theatre of his by many names saying that it is a built or constructed mind and soul.” In June 1526 Francois inaugurated the League of Cognac with Venice, Milan, Genoa, Florence, and the Papacy. Its declared purpose was to liberate Italy from the Emperor. So Camillo was practicing his art of memory during a time of war. I have long been interested in the creation of architectural models of mental states, so I was immediately drawn to Camillo when I first read his story in Frances Yates’ book The Art of Memory. A meditation upon memory is necessary for the present moment: a time in which America is slipping again into moral amnesia and the accompanying degradation of language is like an epidemic of aphasia. “I feel very strongly about not reawakening the memories of the past.” Ronald Reagan, The New York Times March 21, 1985. Americans cherish “freedom” yet tolerate their government’s “constructive engagement” with South Africa whose policy of apartheid can easily be compared to those of Hitler’s and Stalin’s. In the past year nearly one thousand blacks have died in South Africa and in August Reagan called the Botha government “reformist.” Americans believe in due process of law yet tolerate the illegal interventions of the U.S. in Nicaragua. The contras, many of whom are ex-members of deposed dictator Somoza’s National Guard, are called “Freedom Fighters” and likened to our own founding fathers by Reagan. Why have we forgotten what we learned in the last two decades? Why have we forgotten the meaning of our common language? “The struggle of men against power is the struggle of memory against forgetting.” Milan Kundera, The Book of Laughter and Forgetting The Memory Theatre of Giulio Camillo asks the question: How is the motion of the memory connected with the motion of history? How is the personal political? It is the story of a man with perfect memory who is haunted by the memory of a murder he may have committed. As he searches his memory he is confronted by events that he denies. Amnesia begins to set in as his denials grow until the mind of a man who could focus his entire memory in a single moment is in danger of shattering. History…is a nightmare from which I am trying to awake. –James Joyce, Ulysses The Memory Theatre is structured as a play within a play within a play. 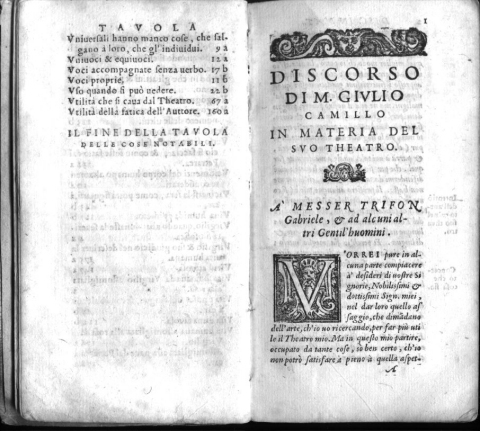 The surface of the play takes place within a single performance in Camillo’s Memory Theatre in Venice in 1532. It is his first performance in seven years of his memory play and he intends it be his final one. Within his memory a commedia troupe performs their own bawdy version of his play. Erupting out of the rift in his memory is the Umbra, the darkest region of shadows, in which the Beast claws and mangles. Camillo is the only figure who penetrates all three worlds. 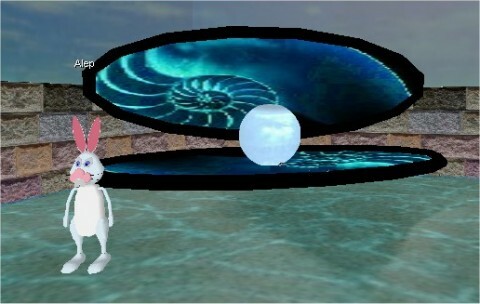 Il giorno 14 novembre 2005, lunedì, viene inaugurato in Scuola3d il centro risorse e documentazione intitolato a Giulio Camillo Delmino, uomo del Rinascimento che progettò di costruire l’utopia del teatro della memoria. Il progetto è stato realizzato da Luna3 su indicazioni di Enrico Hell, e in questo documento, insieme alle schermate e la descrizione del centro, trovate anche una intervista alla costruttrice che ha dato veste concreta alle nostre utopie.